I meant for this post to go up back in June when Animal Crossing: New Leaf came out but I never actually posted a post on the game so I'm finally going to post it today! I've been playing for 8 months, I did stop playing for a few months (August, September, December) but I started actively playing again a few weeks ago and I'm totally obsessed with it all over again! 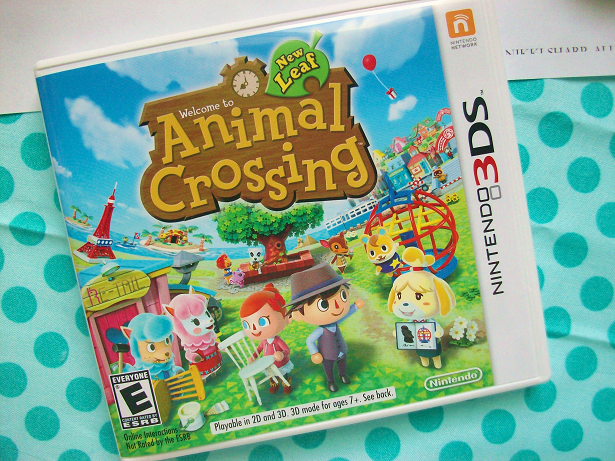 I've played every single Animal Crossing that has ever came out and by far this version is my favorite! If you haven't played ACNL then I would highly recommend you play it because it's such a cute game! My dream address is 4700-2206-4449, add me and leave your dream address below and I will add you too!